Tired of Traditional Pumpkin Pie? Don't Be So Predictable! Make a Pumpkin Ice Cream Pie Instead. 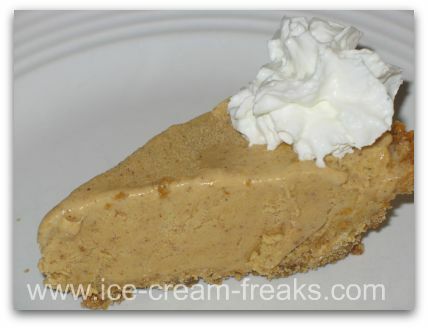 This pumpkin ice cream pie was made using the following recipe. I don't know if I could ever really tire of traditional pumpkin pie, but it's fun to change things up a bit now and then. This would be a great Thanksgiving or Halloween dessert. 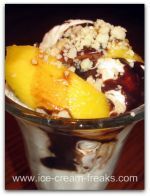 You know, when you're so stuffed from turkey and all the trimmings, sometimes ice cream is the only thing that can fit -- 'cause it just slides down. And I don't know about you, but having the oven on for so many hours of roasting and baking, just makes the house hot! I'm ready for something cold by the end of my meal. The graham cracker crust recipe was in my Betty Crocker's 40th Anniversary Edition Cookbook. Heat oven to 350 degrees. Mix crumbs, butter, and sugar. Press mixture firmly against bottom and side of pie plate, 9x1 1/4 inches. Bake for 10 minutes; cool. 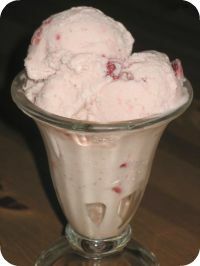 Fill cooled crust with softened ice cream. 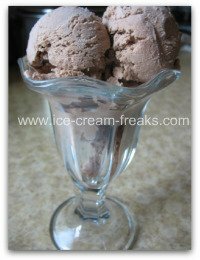 You can use store bought or make my ice cream recipe ahead of time. Spread evenly and place pie in freezer a couple hours or until firm. Take it out a few minutes before serving so it can soften slightly. Slice into wedges and top with whipped cream. Serve immediately. I hope this pumpkin recipe becomes one of your family's favorites.